1. Instead of showing the impact of climate policies on profitability (Gross Operating Surplus), the government has compared policy costs to the total expenditure of a business, which is misleading. In 2014, for example, the sector had an operating surplus of £169m, yet energy costs were equal to 330% of that sum. 2. Government has limited its comments to present policy impacts, and ignored the much larger future effects revealed elsewhere in its own data. By 2020 DECC admits that the impact of its energy and climate policy will result in prices 76% higher for energy intensive businesses. 3. Government has only examined direct energy cost impacts. It has failed to take into account the indirect pass-through effects, from one business to another, and also in the cost of labour. This means the cost of all inputs to a business will rise, not just energy costs. According to the Government’s Low Fossil Fuel price scenario that is now probable, by 2020 a medium sized business will see electricity prices 76% higher than they would be without green policies, and that prices to households will be some 42% higher. Consequently, while the present is very uncomfortable, the future for UK businesses is bleak. Many businesses and investors will ask themselves whether there is any point in trying to ride out the present storm of high energy prices only to be sunk by the next one. 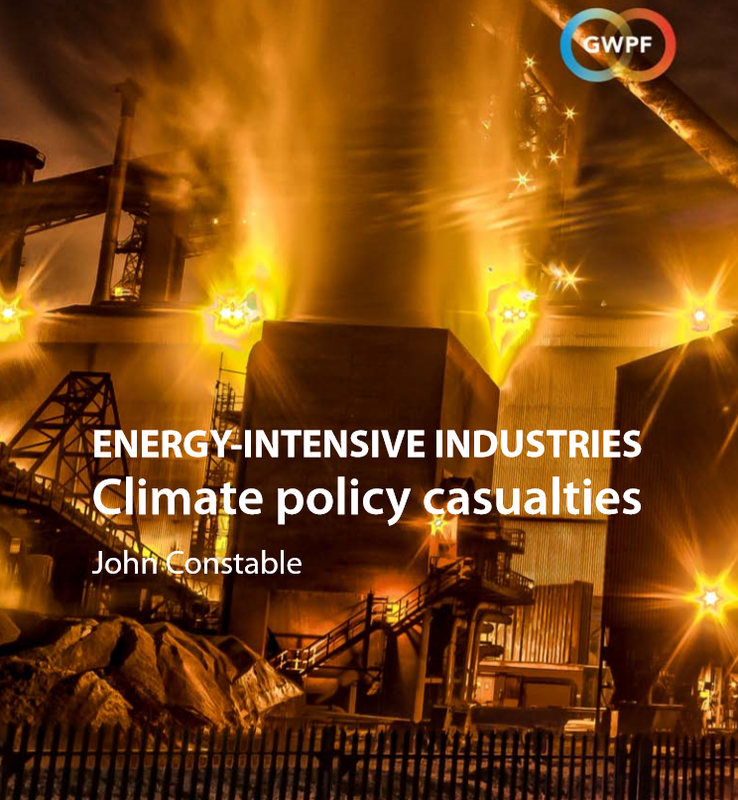 The steel sector is particularly sensitive to energy costs, and it is the first to feel the pain of the UK’s climate policies. Like the miner’s canary it gives early warning of a business environment that is toxic both to current enterprise and to future investment.